The pioneer in the motorcycle industry, Yamaha Motor Philippines Inc., carries on to create innovative products that uplift the standards of service in the country. Yamaha continues to provide unique experience to everyone by providing pioneering products that has always been focused on the underlying philosophy of Yamaha, which is to provide the exceptional value and satisfaction of the customers. Aiming to meet the high quality standards of its clients, Yamaha is wholly committed and promises a complete motorcycle lifestyle experience. To make this more profound, the company also has events and activities that highlight its dedication to its loyal customers, giving them something new and better. The company’s goal in uplifting the value of its customers will become more exciting as they partner with one of the oldest athletic conferences in the country that has emerged to be the most popular inter-university sports association today, the University Athletics Association of the Philippines/UAAP. 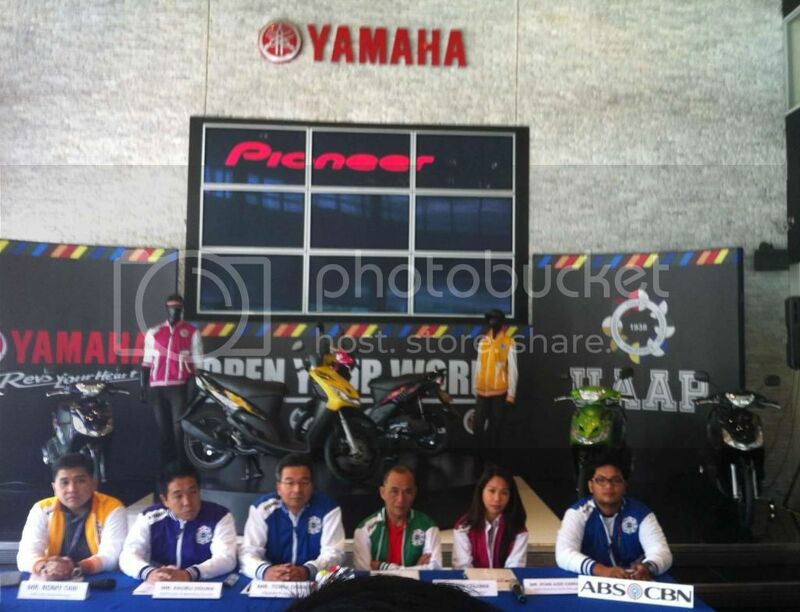 This May 26, 2014, Yamaha Motor Philippines Inc. will formally launch their partnership with UAAP at Yzone, Ortigas. From the peak of human performance to a machine’s cutting edge efficiency, the UAAP and YAMAHA forge their relationship by dominating in excellence. Student – Athletes from the Adamson University, Ateneo De Manila University, De La Salle University, Far Eastern University, National University, University of the East, University of the Philippines, and University of Santo Tomas mirror the outstanding characteristics of each Yamaha unit. The athletes won’t be the only ones in the spotlight as Yamaha holds a graphic design contest for the MIO Sporty; a winning design will be selected for each university in the UAAP. The top 3 designs for each school will be featured and winners will receive different prizes and the top design from each school will then be customized by Yamaha Motor Philippines for event display. With its great partnership with UAAP, Yamaha will surely give its customers a thrilling riding experience that will be a one great adventure for everyone. Visit www.yamaha-motor.com.ph for more updates and information.